Her Royal Highness, Princess Catherine is already making news in the knitting fashion world with "HRH Kate's ruffled shawl" she wore in her recent market shopping trip soon after the royal wedding. Wee Sandy on Ravelry has posted the popular triangle shawl pattern with chevron design and ruffles all around. 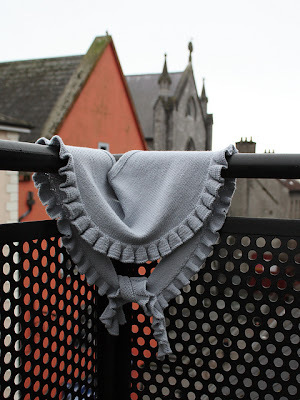 A ruffle shawl can also be used as a ruffle scarf. Tested and ready to go, please find the link below for Kate's Shopping Shawl. Here is one by a Russian knitter, who lives in Ireland, Svetlana Kolesova, called Grey Ruffle, or in Russian Cyrillic. 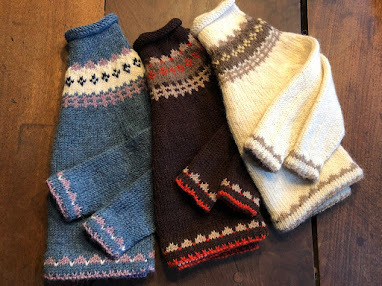 The pattern is a free download and you can find it in English and Russian here on Ravelry. 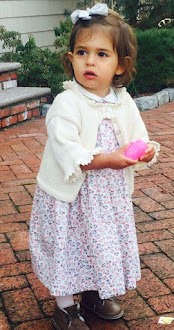 For a crochet ruffle shawl free pattern, try Aunt Jo's Prayer Shawl by Janet Branni. For more free shawl patterns, please read knitnscribble here. Kate's Shopping Shawl knitting pattern. 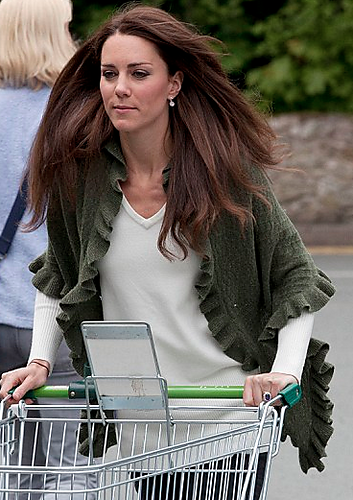 Kate's shopping shawl knitting pattern for real!